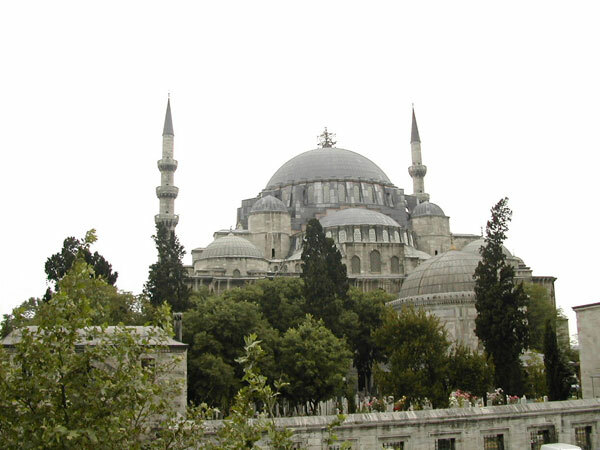 The mosque (also called the Blue Mosque from the colour of the painted decoration covering the surfaces of the upper structure) is located opposite Hagia Sophia Mosque in Sultanahmet square. It was built by architect Sedefkar Mehmed Aga for Sultan Ahmet I. The mosque was completed in 1617 and the rest of the structures was in 1619. There are 30 small domes that cover the square spaces behind the arcades.